Villa Serenita, also known as “The Wedding House”, was made for weddings. 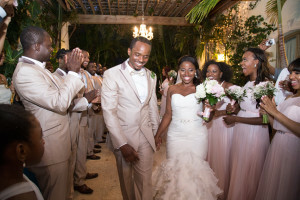 The villa is the perfect wedding venue for groups of any size up to 80 guests. 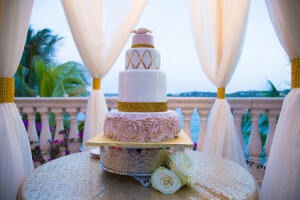 The entire layout of the villa provides space for wedding receptions on a terrace under the stars or a covered terrace just feet away from the water in the case of rain. 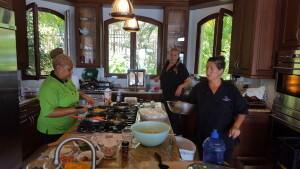 Two kitchens, one upstairs and one downstairs are waiting for your catering team to deliver delicious choices of island fare. The upstairs terrace is ideal for a wedding ceremony. The bride will “walk down the aisle” under a trellis-covered, garden-like walkway to a spot overlooking the water down below. The terrace has ceremony seating for almost any size group. 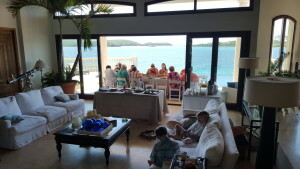 The villa is tucked away on the far East end of the island with views towards St. John and an island just off the coast of St. Thomas. Making for stunning backdrops for just about every wedding photo. The breezes here are constant and arguably the best on the island. A small pebble beach rests not more than a hundred feet from the property. An infinity pool and huge stone-laid pool deck just a couple steps off the living room inevitably calls to wedding guests after they’ve danced and drank all night. The living room is a great place to relax with large, plush couches and a 60 inch, wall-mounted TV. The villa sleeps up to ___ with suites both upstairs and down. 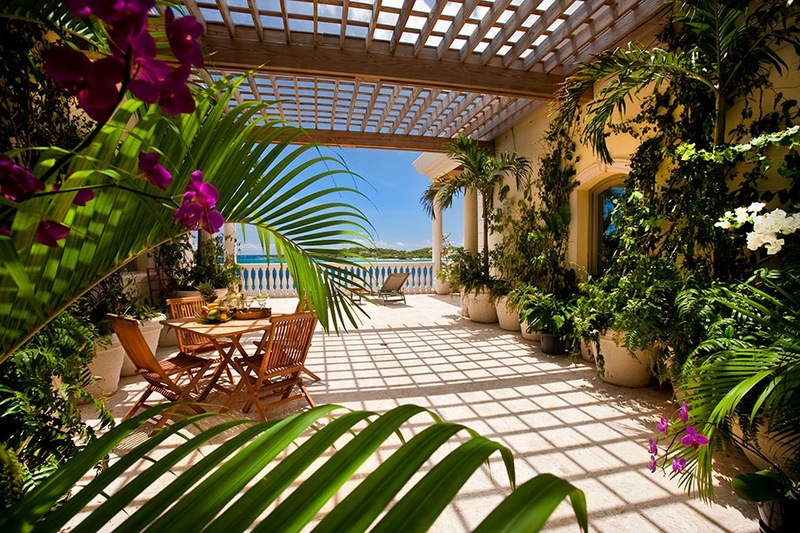 Villa Serenita leaves little to be desired as both a wedding venue and a place to relax and enjoy St. Thomas. 6 Bedrooms total and all enjoy water views and ice-cold air-conditioning. Accommodates up to 18 guests. 2 Master suites with jetted tubs. This large living and congregating space has large, plush couches and chairs. Large sliding doors welcome the constant ocean breezes. Plentiful ceiling fans add to the heavenly breezes and make the room the most comfortable and enticing in the house. Downstairs also has a full kitchen for guests or catering. The fully stocked kitchen is loaded with dinner sets, utensils and spices. A large dining room table just off the living room has seating for 10. Or dine poolside. 1. A few steps from the living room doors is a walk-in Infinity pool. The pool seemingly flows right to the Caribbean sea below. 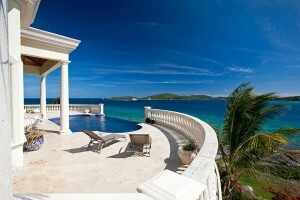 Villa Serenita is on a secluded end of the East End of St. Thomas. It is only 2 minutes from Vessup Beach, a popular white sand beach for watersports and beach picnics. The Ritz-Carlton and The Elysian, a condo resort, is only 5-minutes away, along with The Elysian, a condo resort, for your out of town guests. Because all the beaches in St. Thomas are public, you can also take advantage of the beaches at each resort. 5 minutes from the house is Red Hook, a popular and lively part of St. Thomas. Red Hook has about a dozen restaurants and bars on a 1,000 foot stretch of road. Both family-friendly and adult-friendly venues are available. Two grocery stores are within a 10 minute drive from the villa. Villa Serenita – The Wedding House has a trellis covered terrace surrounded by tropical plants where most wedding ceremonies are held. There is an aisle for the wedding party to walk down and the ceremony is held near the terrace railing overlooking the bay. After the ceremony tables are set up under the trellis for dining under the stars. In the case of rain, a covered terrace next to the downstairs kitchen can seat 80 wedding guests. The open-air terrace as well as the large pool terrace are great locations for a dance floor .